Why has the cost of insulin grown so much, and how can we fix it? 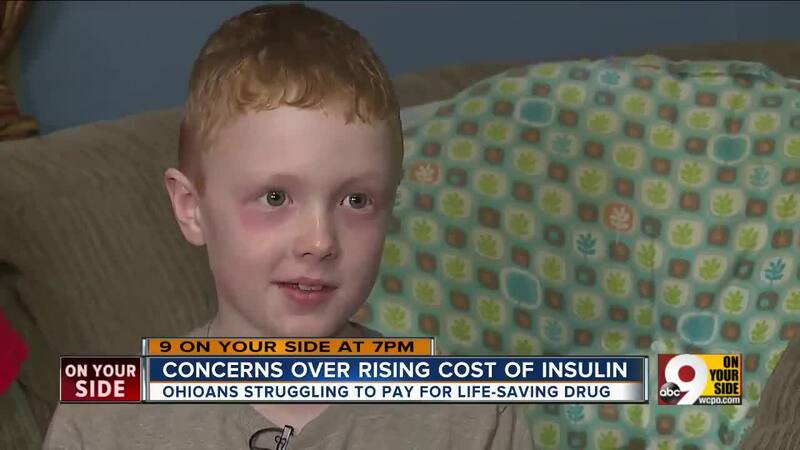 Insulin is a need, not a want, for millions of diabetic Americans like 7-year-old Sammy Kemphues. According to the American Diabetes Association, the cost of the life-saving substance has grown exponentially since the turn of the century. Juvenile Diabetes Research Foundation executive director Melissa Newman joined Kristyn Hartman Wednesday in WCPO’s studio to talk about the broken system that drives insulin prices ever-upward and the actions that can be taken to fix it. CINCINNATI — Insulin is a need, not a want, for millions of diabetic Americans like 7-year-old Sammy Kemphues. Without it, Kemphues’s body will rebel against itself, potentially leading to health problems as serious as heart disease, nerve damage and kidney failure. According to the American Diabetes Association, the cost of the life-saving substance has grown exponentially since the turn of the century. A study conducted by the same organization found the cost of production had not significantly increased in that time, but the medication pricing structure encourages stakeholders at every level — manufacturers, wholesalers and pharmacy benefits managers — to increase the cost to the patient in order to maximize profits for themselves. “There is no cure, so we need to get prices to come back down,” Sammy’s mother, Erin Kemphues, said Wednesday. The Kemphues family is fortunate enough to afford the $500 monthly bill attached to Sammy’s insulin, glucose monitor, insulin pump and other diabetes-related supplies. Many others are not. Juvenile Diabetes Research Foundation executive director Melissa Newman joined Kristyn Hartman Wednesday in WCPO’s studio to talk about the broken system that drives insulin prices ever-upward and the actions that can be taken to fix it.